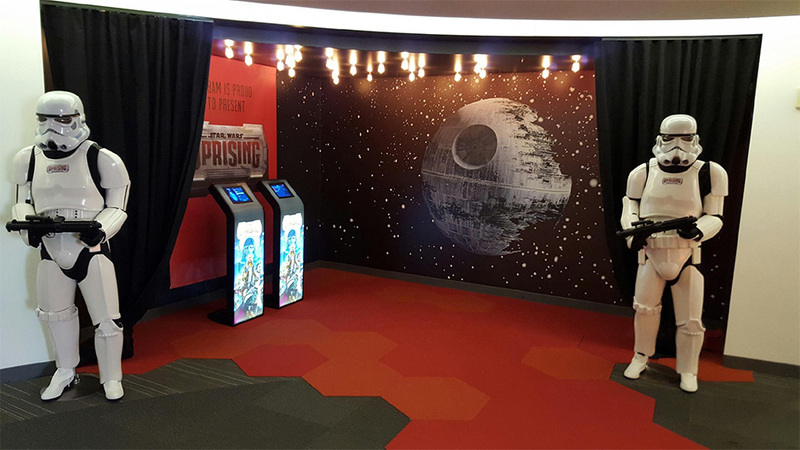 “With the helpful and prestigious team of Gensler Architects and Principal Builders, I’m proud to present our new Star Wars: Uprising lobby! This was a total team effort, from top to bottom. I’d like to thank everyone who was involved in this process. Kabam and Gensler legal team, Andy Seul and Holly Liu for your vision and direction.